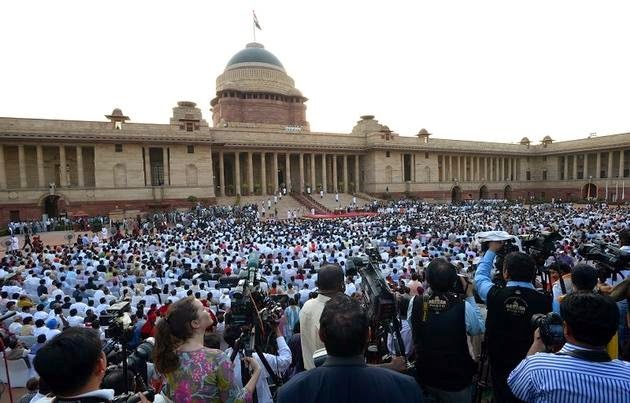 Many international as well as Indian observers have considered the grand swearing-in or oath taking ceremony of India's new federal Government, led by prime minister Narendrabahi Modi, as a major diplomatic initiative that has began well. The prime minister had invited 8 heads of the states, who form the South Asia regional cooperation asociation SAARC and one other country from the Indian ocean area, Mauritius to grace the function with their presence. It is therefore no wonder that during this function, which was relayed live all over south Asia, TV cameras and all eyes were actually riveted, besides the new prime minister of India and his cabinet, mainly on the Prime Minister of Pakistan and President of Sri Lanka because of strained relations between India and Pakistan in the case of the former and a resistance by Tamil politicians from south India in case of latter. Yet there were other invitees too who never received any media attention. Yet the message has gone loud and clear to where it was supposed to go with these invitations. The first of these invitees was the Taiwan trade representative, who attended the ceremony and sat with the other ambassadors. As part of its foreign policy, India doesn't have diplomatic relations with Taiwan, but both exchange trade representatives. The presence of the Taiwanese representative at the swearing-in ceremony therefore become significant because it indicates clearly the thinking of the new Government giving highest priority to trade as a prime mover in its foreign relations. "The relevant person is 100% a splittist. He is the ringleader of the so-called Tibetan government-in-exile. He has never done anything good on the Tibet issue,. "The objective of the visit is to establish contact with the new government of India. The visit is an important element of the Year of India-China Friendly Exchanges and will provide further momentum to the India-China strategic and cooperative partnership." It can be seen from the statement of the Chinese foreign ministry spokesman Hong Lei about Sangay, mentioned above, that the Chinese, perhaps are trying to set the agenda for the coming India-China talks as it comes ahead of Chinese foreign minister Wang Yi's visit to Delhi. It should be of great interest to see how new Government of India begins its relationship with the Chinese. A perceptive analysis of a public event and reading between the lines.